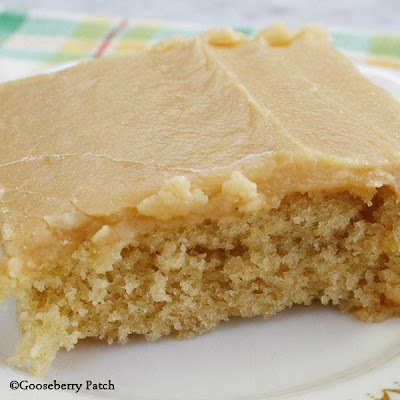 This is easy peanut butter cake recipes, and very simply to make, my son love this cake. Combine butter, water and peanut butter in a saucepan over medium heat; bring to a boil. Add to flour mixture and mix well; set aside. Combine eggs, vanilla and buttermilk; add to peanut butter mixture. Spread into a greased 15"x10" jelly-roll pan. Bake at 350 degrees for 15 to 20 minutes, until it springs back when gently touched. Prepare Peanut Butter Icing: Combine butter, peanut butter and milk in a saucepan over medium heat; bring to a boil. Spread Peanut Butter Icing over warm cake. Makes 15 to 20 servings.